Bring the farm to your next event with this unique Ride-On Donkey. Combine physical activity with a smooth ride, just move your feet up and down to move! 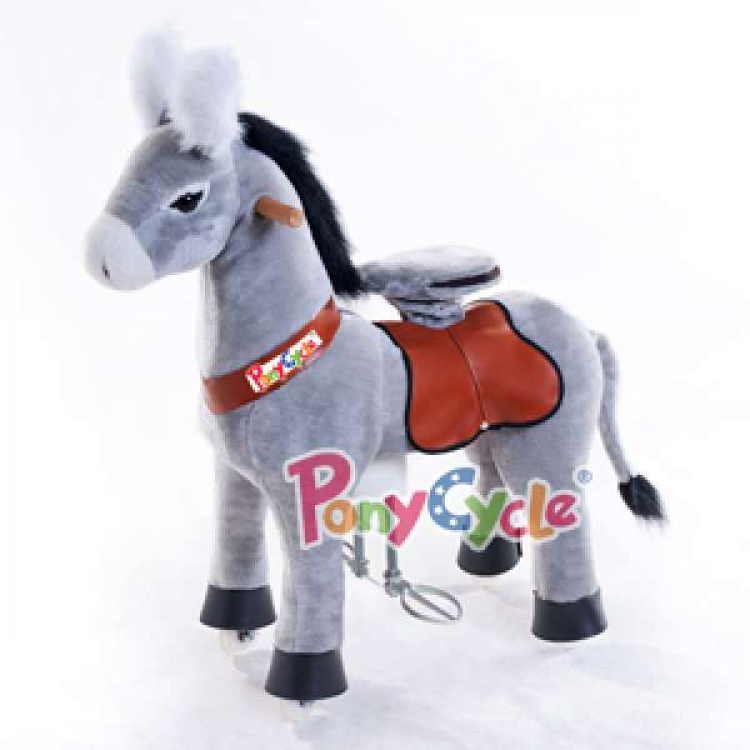 Features a faux-leather seat and harness & high quality plush fabrics in grey with white details for a soft and comfortable finish. Suitable for any flat surface indoors or outdoors!